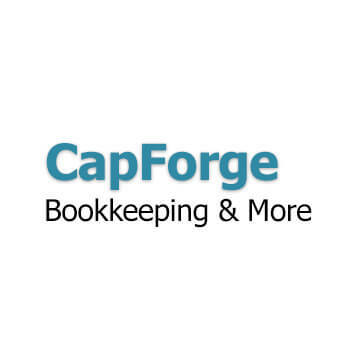 CapForge Bookkeeping & More was looking for an internal project management tool to help keep up with all of the tasks their hundreds of accounting clients needed. The most important demand of the project was to automate as many tasks as possible so that administrators at the company could spend less time with the management aspects of the business and focus more on actually meeting their client’s needs. Link Software developed a web application that gives CapForge staff all of the information they need about clients and their ongoing projects quickly and easily. Each month the tasks they would normally handle by hand before (project creation, email notifications, etc.) are now done automatically by the software. As their business has grown, annual updates to the web application have been made to meet CapForge’s needs. Role-based user system gives CapForge staff access to only the information they need for the clients they are assigned to. Projects are automatically generated, per client, based on the project from the previous time period. Time tracking by project gives CapForge staff and admins the ability to track progress on each individual client and project while also across showing current effort across the entire company as a whole. All incoming and outgoing client email is automatically stored and made available inside of a webmail client built right into the application. CapForge staff can securely send and receive files, associate them with existing projects and send them back and forth to clients. A notification system generates client-specific emails requesting the appropriate documents and account access needed to complete the current period’s project. I selected Link Software from a large pool of potential applicants to work on a critical internal software project for my accounting firm and I am very glad that I did. They have consistently delivered top quality work on time and gone above and beyond my expectations. Aside from working as requested, the software is visually appealing and Link Software has made numerous suggestions for improvement as we’ve gone along. I look forward to a long working relationship and many more projects to come. I would recommend their work without reservation to anyone looking for high quality custom software and design work.